Rong returns to Victoria Warehouse on 29th September 2018 to host the European Exclusive for Future Sound of Egypt 550 &apos;A World Beyond&apos;. We're live streaming from the European show of Aly & Fila's ‘A World Beyond’ tour. Find out how to watch here. The Italian DJ and production legend discusses his influences on the Afro scene, his early days as part of the house music explosion in Italy and his entry to techno. 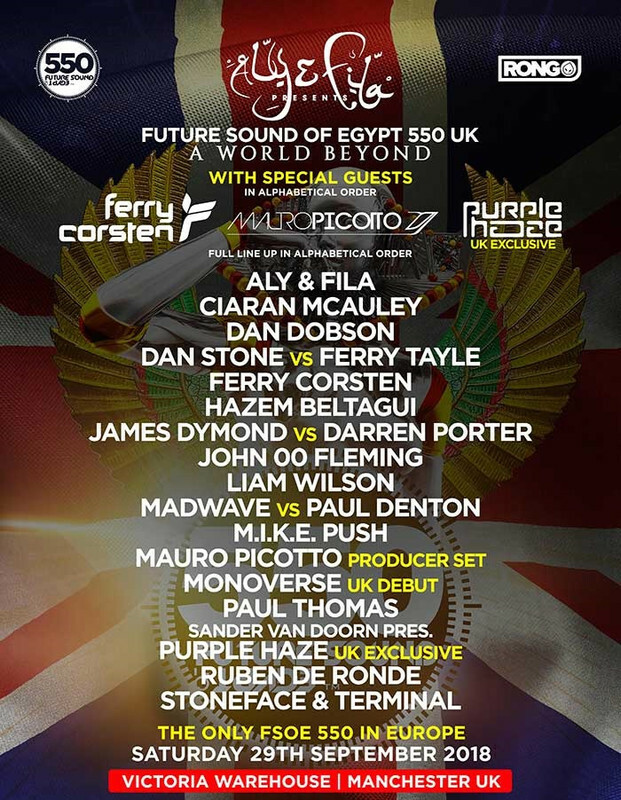 Aly & Fila join forces with Rong Events to bring Ferry Corsten, Sander Van Doorn annd more to Manchester. Find FSOE tickets and line up here.